Archeologists have for hundreds of years believed they knew exactly where Jesus performed his first recorded miracle — turning water into wine — but new discoveries are now calling the location into question. "According to John 2, Jesus performed the miracle during a wedding at Cana. When the wine ran out during the celebration, the son of God transformed the water into wine in what is believed to be, according to the biblical account, his first miracle. 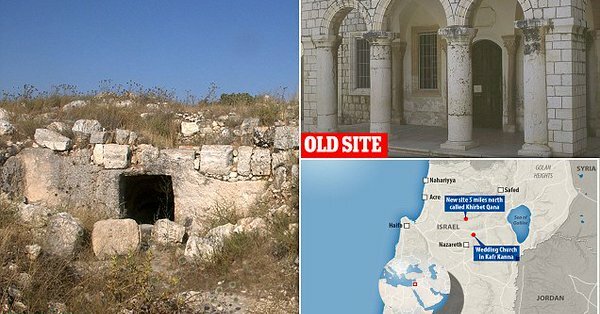 Archeologists are, based on new research, now confident the real site of the miracle — in Cana — is actually on a hillside five miles further north of the previously understood location in Israel, The Daily Mail reported. There is an altar and a shelf along with the remains of one stone vessel, much like the ones that Jesus would have used to store the wine, in the newly discovered location. “The pilgrim texts we have from this period that describe what pilgrims did and saw when they came to Cana of Galilee match very closely what we have exposed as the veneration complex,” he explained. The discovery could have substantial ramifications for Christianity, too, according to McCollough, who said the recently found location could make a strong case for the authenticity of the gospel of John. He said their discoveries “warrant at least a reconsideration of the historical value of John’s references to Cana and Jesus.”"